Sooner or later this day was going to come as Sprint has announced that they are putting an end to the all you can download buffet for all 4G mobile broadband devices such as tablets and mobile hotspots; smartphones however are still unlimited. Sprint is the last remaining of the four main carriers to offer truly unlimited 4G data with no caps or speed throttling. Their mobile hotspots such as the Overdrive have been available on a monthly plan that included unlimited 4G data courtesy of Sprint’s WiMax network while a 5GB cap would be in place when in 3G areas. It was only a couple of weeks ago that Sprint also took away unlimited data when using your smartphone to tether. This all comes after Sprint CTO Stephen Bye labeled unlimited data as a “differentiator” last month. Even though Sprint’s smartphones still will not be capped, this must be asked. How much longer until it is? In addition to tablets and mobile hotspots, affected devices include netbooks and laptops with built-in WiMax support and USB connection cards. Sprint is making this change effective in November but dates will vary depending on the billing cycle. Once that change happens there will be three different plans to choose from; a 3GB, 5GB and a 10GB option. Instead of speed throttling Sprint is going the way of charging overages as every extra MB of data will cost $.05. Unfortunately Sprint will not be grandfathering anybody into this plan. Once the change goes live everybody will be affected. It really only was a matter of time until this happened. 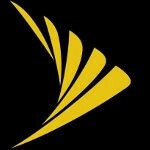 What do all of you think of Sprint putting an end to unlimited 4G mobile broadband? Deceitful business. Get the iphobe, lock millions of customers in, then change the plan. With the losses from the iphone deal, gotta break even somehow. No way they can run unlimited 4G with all them smartphones out there, especially the iphobe. idiot aren't you? it's only for mobile broadband do you understand that? Yeah I know. They gotta cut somewhere! and at 5 cents a MB thats 51.20 per GB of data where verizon only charges $10 per GB for overage. Good news is, those silly "are you truly unlimited" commercials will be gone. It will be interesting to see how many of the customers for Sprint's data devices switch to VZW. A large majority of the data devices that are the subject of the current shift in contract terms are probably not under the $325 early termination fee and are probably close or fairly close to the regularly scheduled contract end date. Given the larger LTE footprint that VZW has compared to Sprint's WiMax footprint, I suspect that if prices are comparable, Sprint data customers will make the move to VZW. I dont know why it took pa so long to post this. Wow, so many people I know are on Sprint specifically for the unlimited data. This will disenfranchise many customers. OCCUPY SPRINT! THEY ARE THE 1% Time for some data legislation methinks. Although their will not be any grandfathering, will current subscribers still be allowed to download unlimited 4G data per the terms of their original contract? I understand that no current subscribers who have unlimited data would be able to renew their contract, but im wondering about people who are in "mid contract." I may very well be wrong but my impression was that grandfathering in the wireless industry meant for those who are trying to resign another contract. You are mistaken. To be "grandfathered in" in this context means you are locked in because you currently have the service. According to Phone Arena's report, even a currently unlimited subscriber will be subject to the new rules. wrong move by Sprint. next stop most likely are for smartphones.. good luck sprint users..
First of all lol at sprint. There are two opionions and they are only mine. I don't like to state facts without documentation and support of said facts. From my understanding given the information I have read it seems people are abusing tethering if that's the case than shame on them a cell phone is ment for what it is not for maintaining a server lol but given the fact that sprint just got the iphone and now they decided to halt the unlimited data plans and NOT be grandfathered in is shady shady shady. I feel ashamed that I was considering going from vwz to them just for their plan. I rather pay vwz extra premium now more than ever because they didn't take my unlimited plan away. Nexus here I come. Since they aren't grandfathering anyone, the people who signed a contract prior to this change will probably have the option to get out for free. doubt it, there are terms in the contract allowing for plan changes to maintain "network integrity"
That would fall under other things like Throttling, cutting you off at your data cap and so forth. when they're main selling point is selling you on an "unlimited plan" and then saying it's 51.20 per GB for overages is just plain old misleading and I can see this becoming a big legal issue. They may not willingly let you out of your contract but you can definitely argue your way out of this one. That's why I left that sinking ship and went to Verizon. this has been out for a while now. it is only affecting mobile broad band, not phones. increased revenue from this is being used to find the network vision project. i know very very few people that use more than 5gb of mobile broadband anyway. And that's why I don't have a tablet or mobile hotspot, not to mention that I can't afford it. I'm happy with my teathering app that I have on my phone, though it would be nice for wireless teathering. Already knew about this for a few weeks. Phone arena your behind the times. i know right? it's been announced since like the end of sept or 1st week oct..